Highland Beach, Florida is situated in the southern portion of eastern Palm Beach County, which is in the southeastern part of the State of Florida. 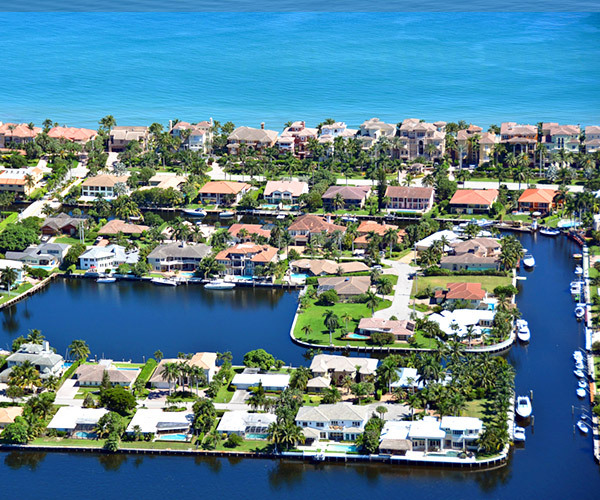 The town encompasses 6 square miles and is bounded in the north and northwest by the City of Delray Beach and on the south and southwest by the City of Boca Raton. The Atlantic Ocean lies adjacent to the town on the east and the Intracoastal Waterway lies to the west. The town's "main street" is a beautiful tree-lined stretch of Florida's state road A1A. Highland Beach is a residential community with a year round population of approximately 3,200 which increases to approximately 6,500 during the winter months by residents who list their northern homes as their official place of residence. Residents are composed of approximately 80% retirees and 20% persons employed or engaged in business enterprises in Palm Beach and Broward Counties. FLRAPB is current as of 4/24/2019.